Milan Fashion Week took place from 20 to 26 February 2018 and the event gathered the most important fashion brands ready to present their collections for the season Fall/Winter 2018-19. 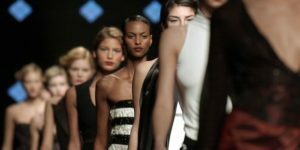 64 were the runway shows for a total of 156 collections presented in alternation to parties, events and the opening ceremony of an exhibition dedicated to Italian fashion hosted at Palazzo Reale. Among the most debated runways – talked about not only by critics on specialized websites but also among ordinary people – we can name surely Gucci’s. Its creative director Alessandro Michele brought on the scene male and female models holding in their arms dragon pups or replicas of their own heads on the background of a surgery room. The so debated message was actually connected with the job of the designer who is called to recover, sew up and assemble, but the setting made inevitably wrinkle many noses. Then, there was Prada with its feminist message and the technological materials that characterized its collection; while Moschino brought models-aliens on the catwalks. Despite the enormous success in terms of audience, critiques were not missing. In fact, many people thought that Milan catwalks have been too much connected with the past and tradition. Among the few exceptions, we can mention Moncler with the Genius project requiring a revolutionary work to its designers, that is to reinvent its classic down jackets.